If you have had knee surgery due to a torn meniscus and are going to physical therapy, it is also a good to do them at home. By doing knee exercises after meniscus surgery will help strengthen your knee and speed up the recovery. I know this from personal experience because I had knee surgery for two torn meniscus back in December 2016. Thankfully the surgery and physical therapy went well. If you are going through physical therapy make sure to follow your therapist instructions. Ice the knee a lot and per your therapist approval move it gently. The first couple weeks will be a slow process so take it easy, try not to get frustrated because in time you will get better. Try to keep a positive attitude, and do your exercises at home on top of what that your physical therapist does for you. If you follow the therapist recommendations and do the knee exercises after meniscus surgery, chances are you will recover quickly and depending on your circumstance, you could have a full recovery. For me, on top of what my physical therapist had me doing, I also went to YouTube and looked for any knee exercises after meniscus surgery that could help with my recovery. My physical therapist had a spinning exercise bike for me to use when I was going through therapy. Initially she had me rock the pedals back and forth without doing a full rotation. Eventually with her help I could do a full rotation which was a huge break through! She also recommended that I get one for my home, which I did. It was great, I just went on to Amazon and found one where the price was right with great reviews and bought it. Without a doubt, it helped speed up my recovery time. Thankfully when I received the exercise bike our neighbors came by and helped put it together. How nice is that! Once it was ready for use, I started riding between 30 and 45 minutes a day. My physical therapist was impressed! The good news is that after 4 to 6 weeks I was able to start walking my 3 miles a day with our 15 month old golden retriever puppy Luke and my knee feels fantastic. The combination of going to see my physical therapist twice a week and then doing my homework, in other words doing the exercises that she gave me as well as writing my spinning bike brought me back to where I was before I needed the surgery. If you or a loved one has gone through the surgery I highly recommend that you consider getting a spinning exercise bike. The one you see here is like the one I had purchased, and if you want you can Buy It Here. 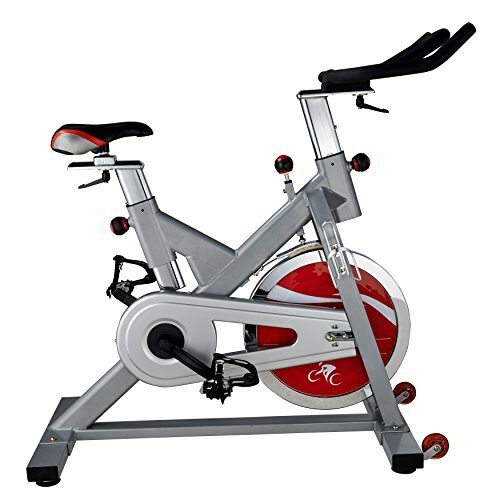 We have a lot of different indoor exercise bikes for you to choose from. Before you purchase one, please make sure to check with your doctor and/or physical therapist that it’s okay for you to use. Good luck, and hope that your recovery goes well!